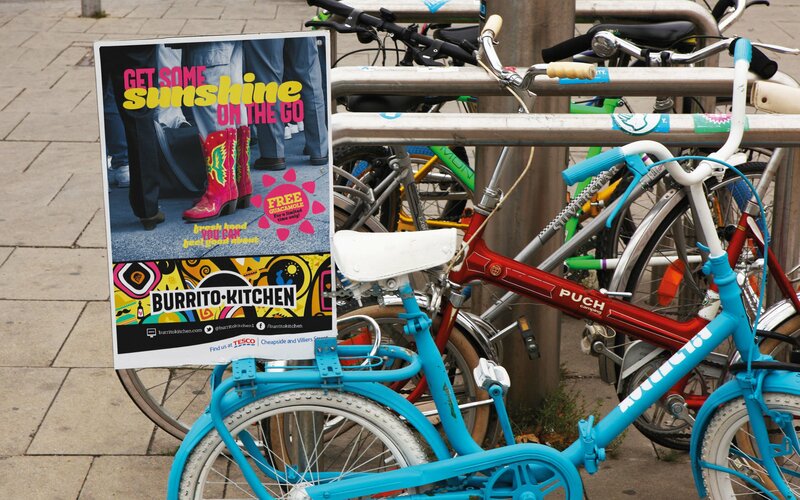 The Burrito Kitchen you see today started life at the University of Birmingham as ‘The Burrito Van’… incredible! 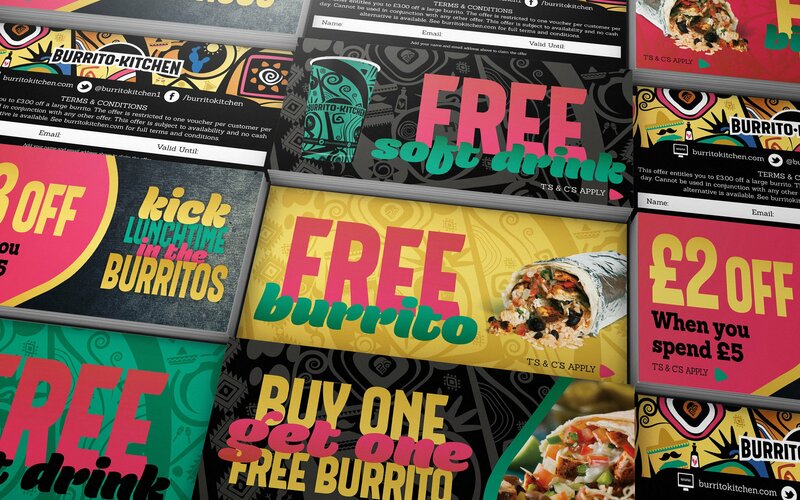 The man who founded all this was obsessed with wrapping up Mexico’s vibe and serve it up to the UK. 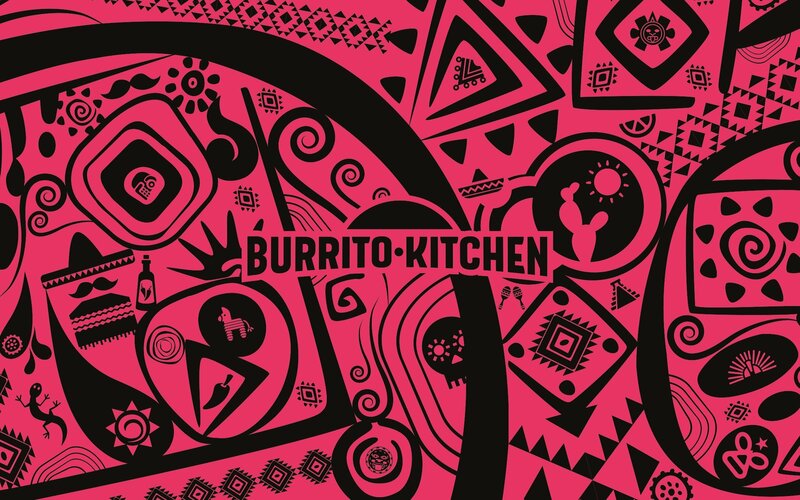 After a year travelling throughout all of Mexico, sleeping in bus stations and learning the lingo, he put his pintos on the line to get a grip on all the different types of food. 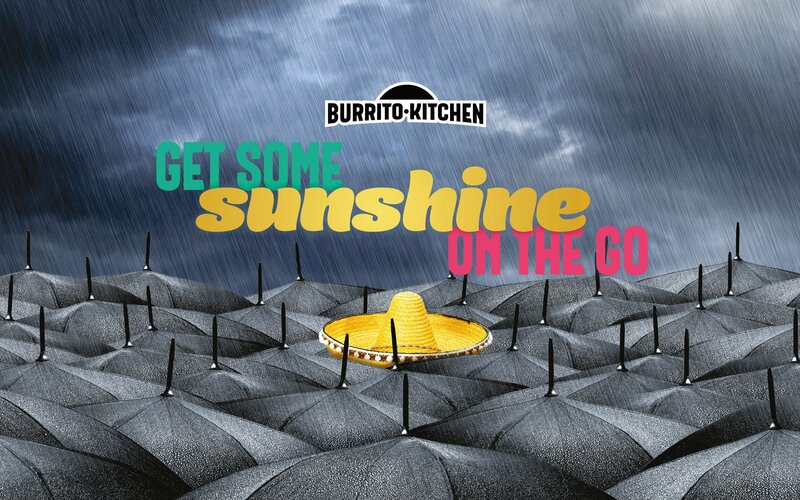 All this so we can get some sunshine on the go! 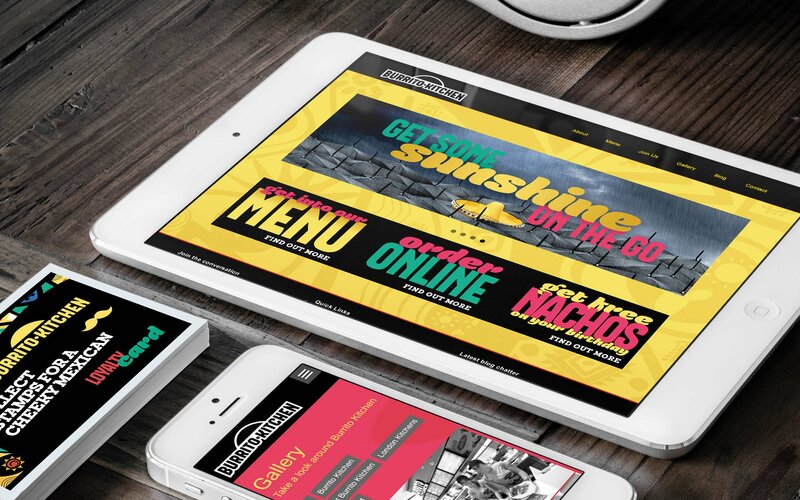 Casual Mexican dining in the UK has seen a huge increase in offering over the past 5 years. 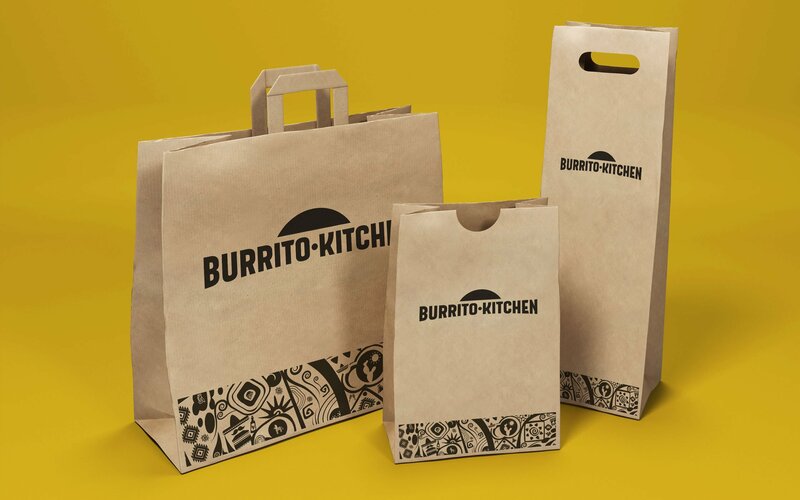 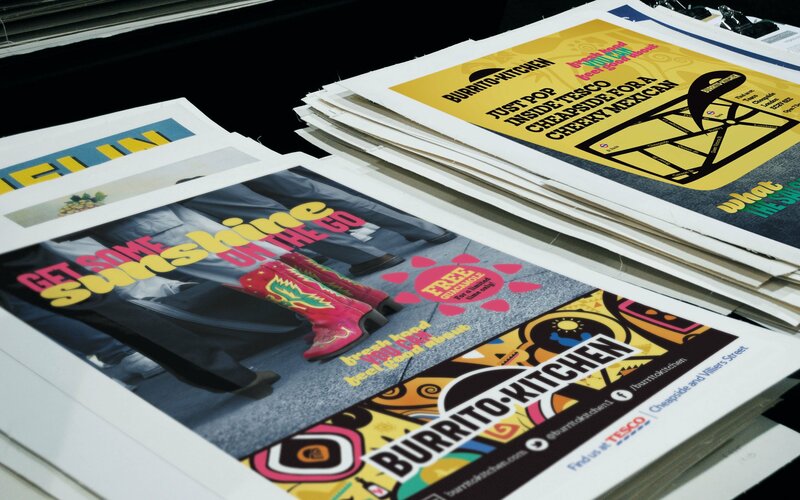 Our brief was to launch a new Mexican brand in 3 stores across the UK, the core objective was differentiation from competitors and brand awareness. 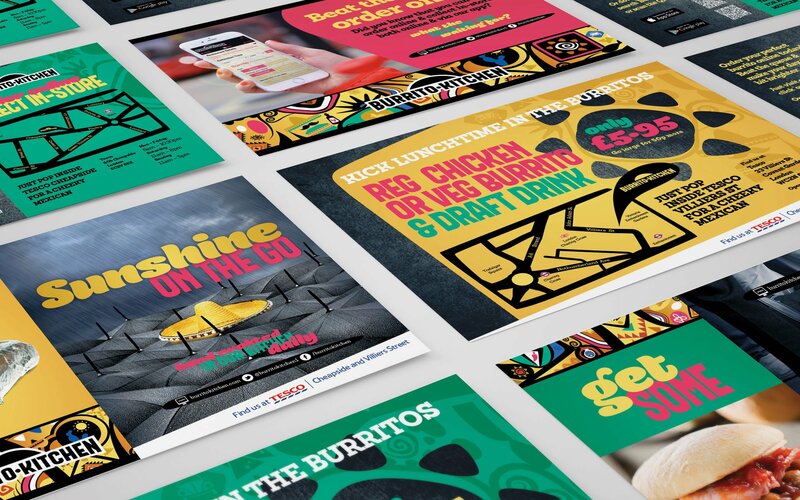 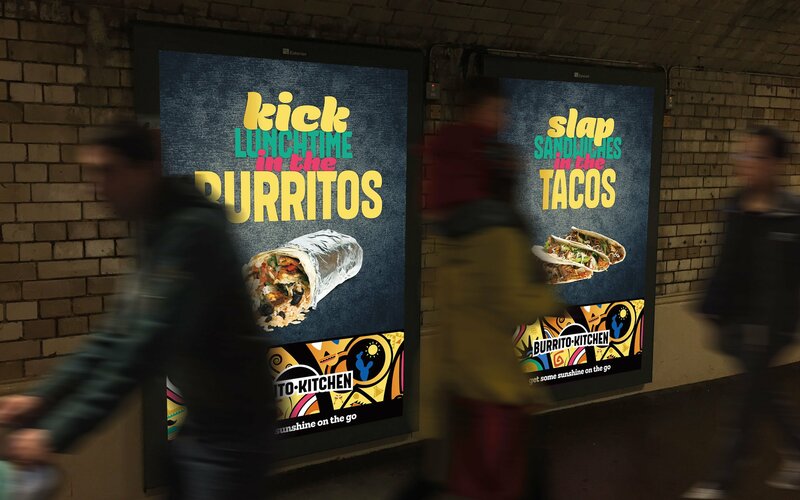 Through our tailored brand discovery process and brand story development, we uncovered Burrito Kitchen’s purpose. 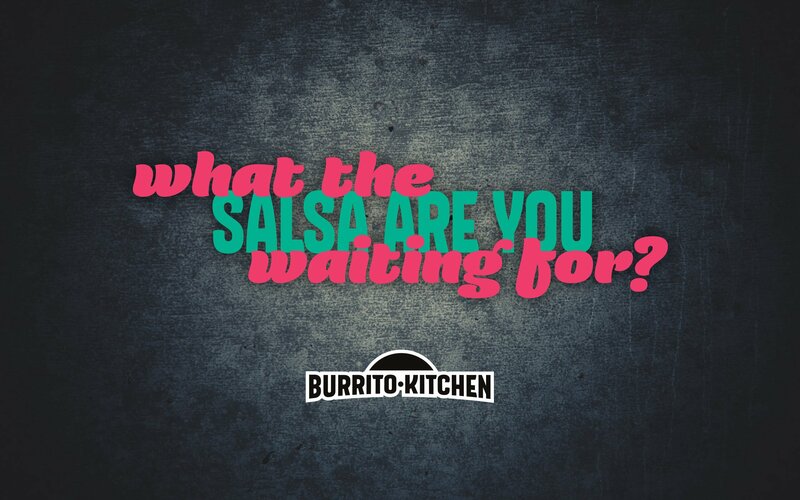 It was simply to bring some of the Mexican cheer back to the UK. 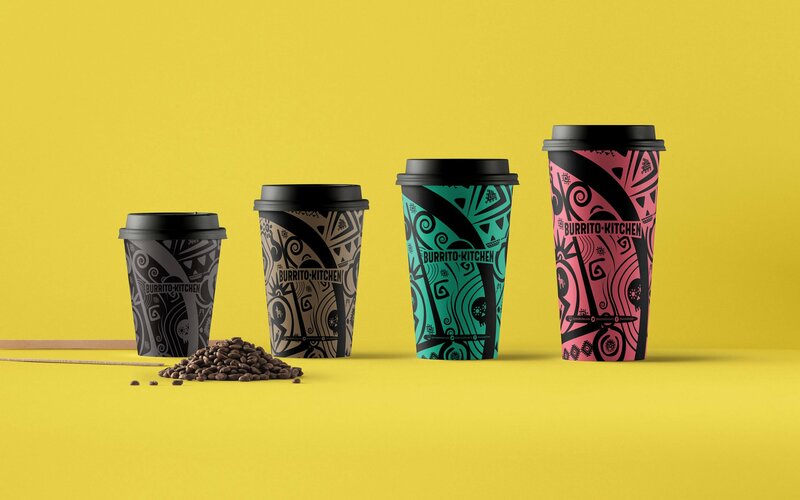 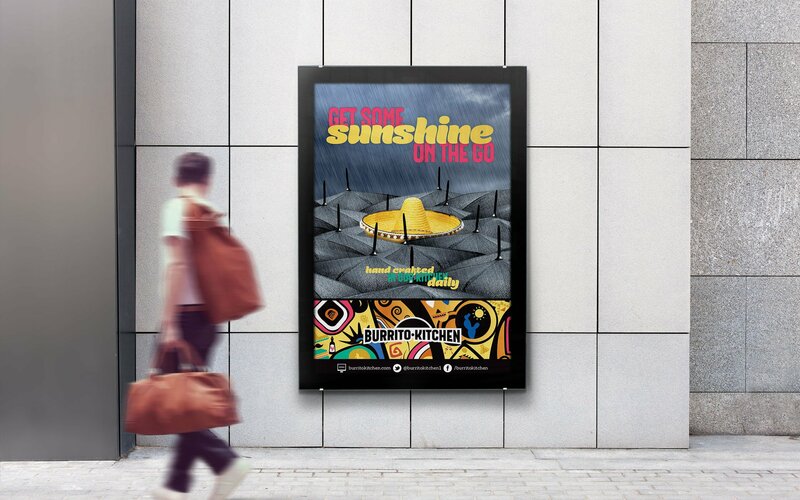 Our rallying cry of ‘Get Some Sunshine On The Go’ became the fuel that drove both the internal and external brand communications, online and offline. 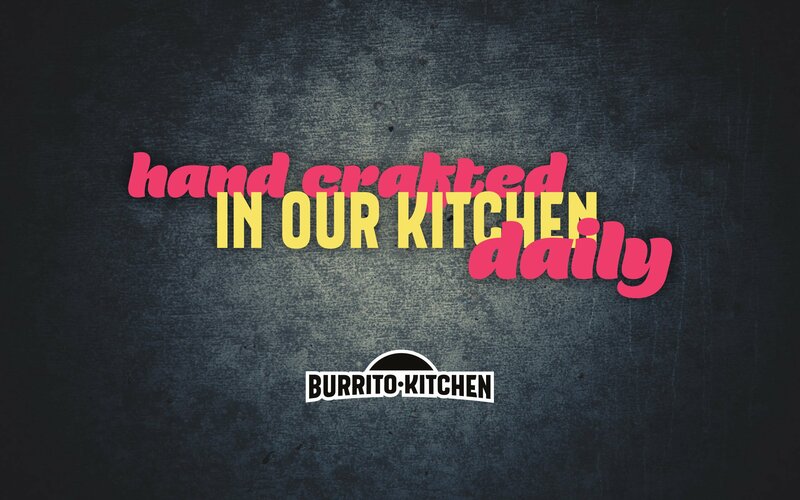 A unique voice was developed, embodying the brand values and aimed to engage on every level. 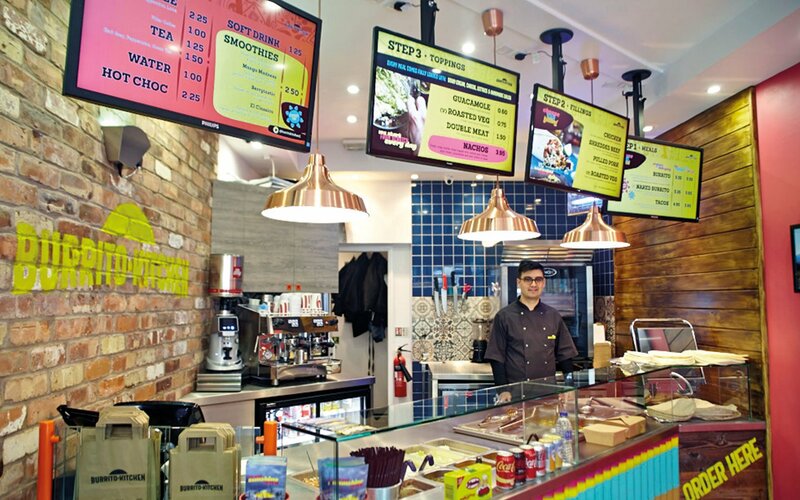 The brand extended into the retail spaces, creating a memorable brand experience for the team and customers. 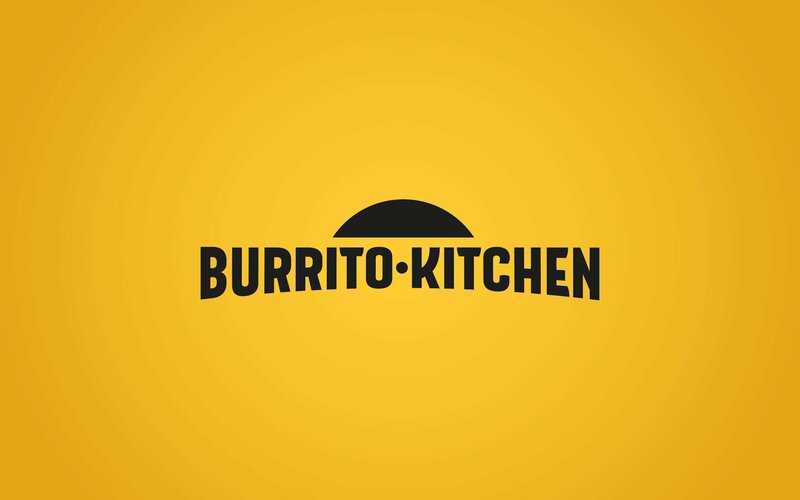 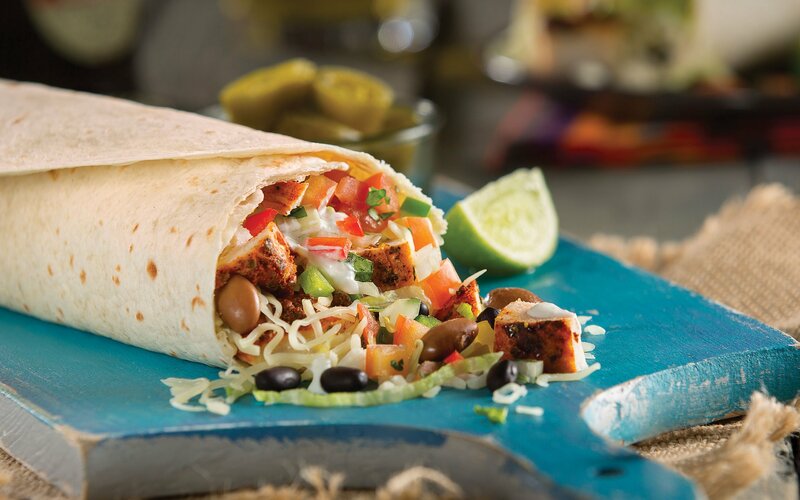 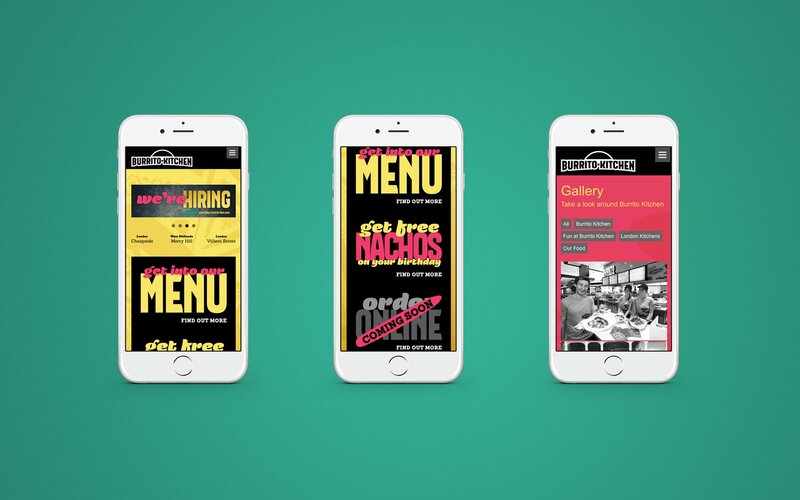 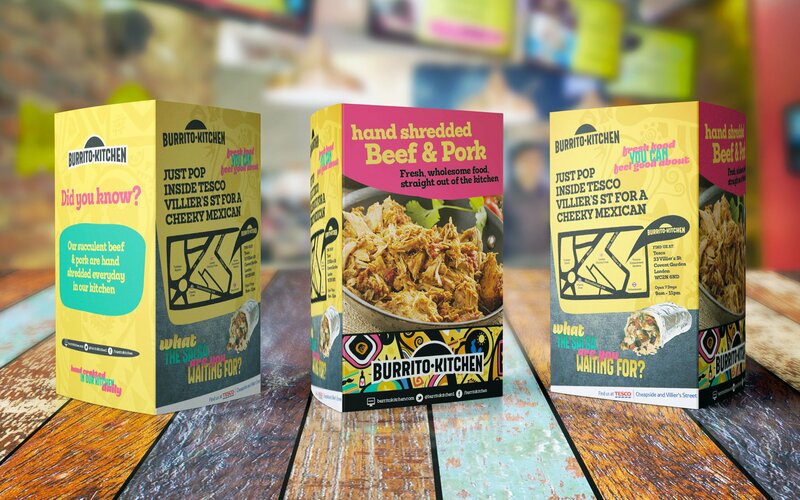 Burrito Kitchen continues to reach new levels and now operates in five different locations, with many more planned into the roadmap.